The WBQA is delighted to welcome our newest South American country members – ARGENTINA! 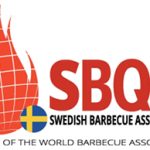 This newest member BBQ Association is being led by President Gonzalo Riera, who is an enthusiastic and dynamic addition to the World BBQ Association family, and I know you will all join with me in welcoming them. As we are all aware, Argentina is known for many things but, in the culinary world, exceptional beef is their main contribution. Being influenced by Italy, and having a thriving wine industry in Mendoza, Argentina is a country that all lovers of bread, cheese, wine, and meat, can’t wait to experience! It’s a beautiful country where cattle ranching dates back to 16th century Spanish conquistadors. Traditions of ranching and gauchos (cowboys) became the fabric of Argentina because the terrain is so well suited to it. Many consider the grass-fed cattle roaming the plains of Patagonia to be of superior taste and quality, and therefore it’s no wonder they are the third largest exporter of beef to the world. It’s also no surprise that Argentines have the highest beef consumption in the world due to the abundance of such excellent beef, and “asado” is always at the centre of all types of social gatherings. Comparing “asado” to a typical barbecue isn’t possible, and Argentines would certainly decry this claim! In Argentina they consider things like gas – or even charcoal – to be sacrilegious to authentic “asado,” where a wood burning fire is all that’s needed. More than barbecue, asado is considered more of an event, an art form, and a ritual steeped in generations of family tradition. Also, unlike most people’s understanding, it isn’t Spanish for barbecue or grill! As in the US and throughout Europe, grilling is typically a man’s territory and veteran asadores could debate the benefits of their techniques for hours upon hours! The asado is also all about patience and enjoying spending time with family and friends. Similar to barbecue, once the fire is started and the wood is burned down to coals, you can then slow-cook the meat, infusing a smoky flavor. An asado can easily be an all day event starting in the early afternoon and going until the early hours of the morning, with food, wine, and conversation flowing throughout. Fancy recipes aren’t the norm – just a sprinkle of salt is all that’s needed, as the quality of the meat is the showcase. Beef ribs, steak, chorizo, and blood sausage are typical and are served with chimichurri sauce which is a mixture of olive oil, garlic, parsley, oregano, and vinegar. Anyone visiting Argentina should make a point of seeking out a genuine asado not just for the food, but especially for the experience. You’ll also hear the term “parrilla” quite frequently used in Argentina. This word has two meanings, the first being used to describe typical Argentine steakhouse restaurants. Parrillas are the most authentic style of restaurant in the country, whereas asado is normally private and family orientated. Typically a parrilla consists almost exclusively meat. The second meaning of the word parrilla refers to the actual metal grill that you cook meat on! 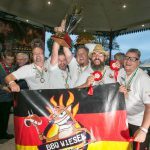 We look forward to meeting Gonzalo and his fellow members at many World BBQ Association events!